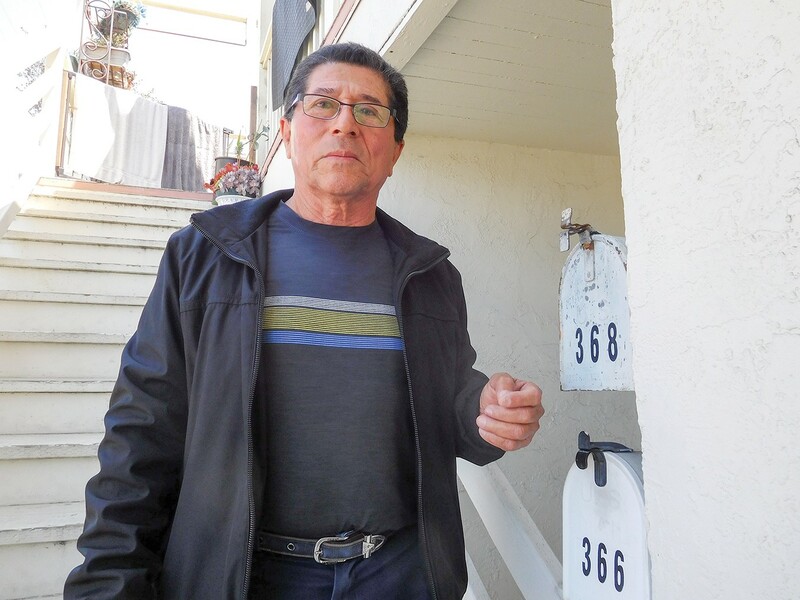 Salvador Sotelo lives in a West Oakland duplex. His landlord falsely claimed to live in the second unit in order to circumvent eviction protections. Several measures were placed on the November ballot at last night's eleven-hour Oakland City Council meeting including two real estate taxes that could raise millions for homeless services, affordable housing, illegal dumping cleanup and other services. And voters will decide whether or not to expand the Just Cause for Eviction Ordinance so that 2- to 3-unit buildings are covered. Currently, tenants in owner-occupied duplexes and triplexes can be evicted by their landlords for any reason. Another ballot measure proposed by Councilmember Desley Brooks, which would earmark future real estate tax revenues on market-rate housing and commercial properties to pay for jobs training programs, was rejected by the council. The Just Cause for Eviction expansion was proposed by Councilmembers Dan Kalb and Noel Gallo. Landlords opposed the measure and Councilmember Lynette Gibson McElhaney criticized it up until the very last moment. But by 1:30 in the morning, after it was clear that all of the city councilmembers were voting in favor of the renter protections, McElhaney switched her position and also voted yes. The measure that would modify Oakland's real estate transfer tax will leave the existing rate of 1.5 percent in place for all properties that sell for between $300,000 and $2 million, which is the vast majority of homes in Oakland. Properties that sell for between $2 million and $5 million will be taxed at a rate of 1.75 percent, and for properties above $5 million, the new rate will be 2.5 percent. Gibson McElhaney opposed the real estate transfer tax ballot measure, saying that a similar tax in San Francisco has harmed middle-class people. Kalb replied that middle-class people don't buy homes for $2 to $5 million and that the tax will mostly affect large commercial property owners and major residential landlords. All of the councilmembers voted to place the real estate transfer tax measure on the ballot, except McElhaney, who abstained. The vacant property tax also faced significant opposition from McElhaney. She was joined by Larry Reid in voting against the measure. The vacant property tax will require a two-thirds vote to pass. It would impose a $6,000-per-year tax on empty residential and commercial buildings and lots. Rebecca Kaplan, who authored the measure, said the goal is to cut back on land speculation, incentivize development or other uses such as community gardens, and raise new revenue. McElhaney said she fears that bigger landlords will find loopholes around the vacant property tax and that the city will hit small property owners, particularly Black landlords, hard during enforcement. According to city records, McElhaney has accepted thousands of dollars in recent years from corporate landlords and developers who will likely be affected by the real estate transfer tax and vacant property tax. Most recently, McElhaney accepted contributions to her legal defense fund (set up to pay for her attorneys in an ongoing ethics case against her) from large corporate developers like Holland Partners, Lennar, and the McConnell Group, which lobbies for developers like Signature Properties.